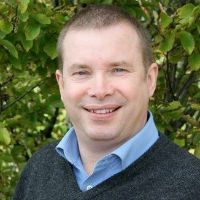 Mark is a Senior Lecturer, Registered Nurse (RN), Programme Director and Fellow of the Higher Education Academy (FHEA). Mark has been an academic member of staff since 1992 and has a long career teaching nursing at all academic levels. Mark is currently the Programme Director for the field of Adult Nursing and is passionate about the education and delivery of professional evidence-based nursing care. Prior to becoming an academic Mark was one of the UK's first nurses specialising in the care of people with HIV and AIDS and worked in several London HIV and Sexual Health Departments, including commissioning a new centre at The Royal London Hospital in East London in the early 1990s. Mark contributed to the development of one of the first degrees in sexual health in the UK and and he continues to advocate for and deliver sexual health education in the pre-registration nursing curriculum. Mark feels it is vital that nurses understand the sexual health needs of their patients and clients so that they can deliver compassionate, holistic and non-judgemental care. Jones, M.J., Steggall, M. and Treacy, C. (2013). Post Operative Urinary Retention. Nursing Standard, 28(5), pp. 43–48. Jones, M.J. and Rutkowski, K.R. (2013). On Being a Mentor. International Journal of Ophthalmic Practice, Vol 4(February/March 2013), pp. 30–36. doi:10.12968/ijop.2013.4.1.30 .